Smashed potatoes are one of my favorite ways to prepare Yukon Gold potatoes. A perfect side to almost anything; tonight, in our house they are accompanying slow cooked pork. Make sure you let them brown well on both sides so they are delicious and crisp. add the butter, season with salt and pepper and cover skillet with a lid. Cook the potatoes on high to medium-high heat in the stock until almost tender, about 10-20 minutes, depending upon the size of the potatoes. Once tender (you can poke a knife in the potato and it is soft) remove the lid and allow the stock to evaporate, about another 10-15 minutes. 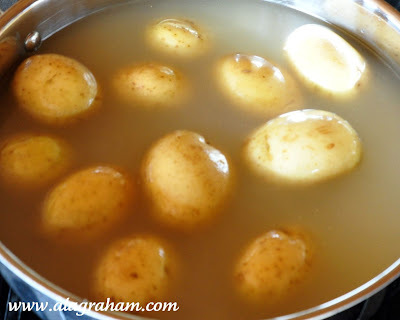 Once the stock has evaporated pop each potato using a large flat metal spatula or large spoon, creating a small crack in each, but do not flatten completely. Allow the potatoes to brown on each side, about 4-5 minutes per side, and re-season with salt and pepper, if necessary or desired. Remove the browned potatoes from the skillet and place onto a serving platter, garnish with the parsley. 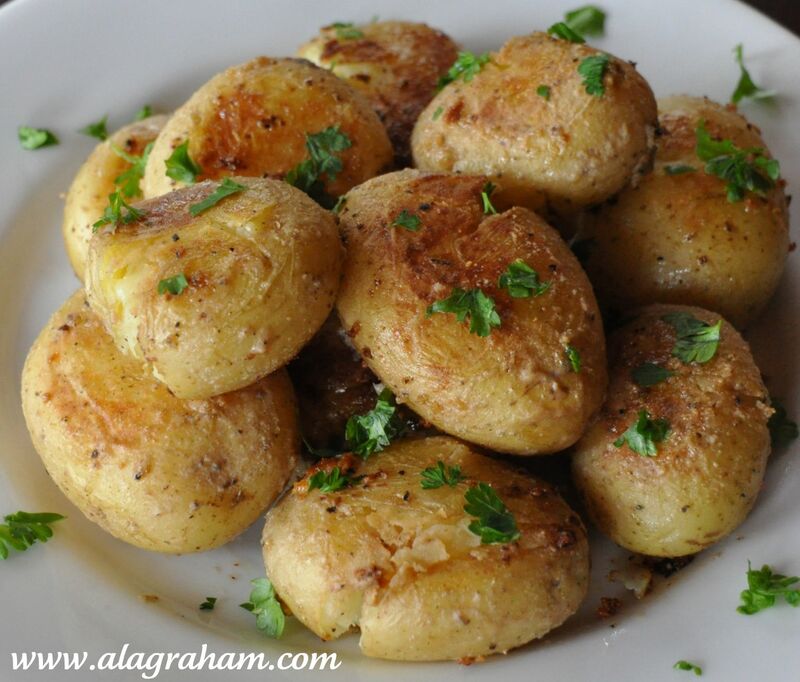 Such delicious smashed potatoes, yum! What a great idea to cook them in stock first. I bet that adds a load of flavor. Delicious! Bridgett, it does and I have found that it works great for mashed potatoes too. 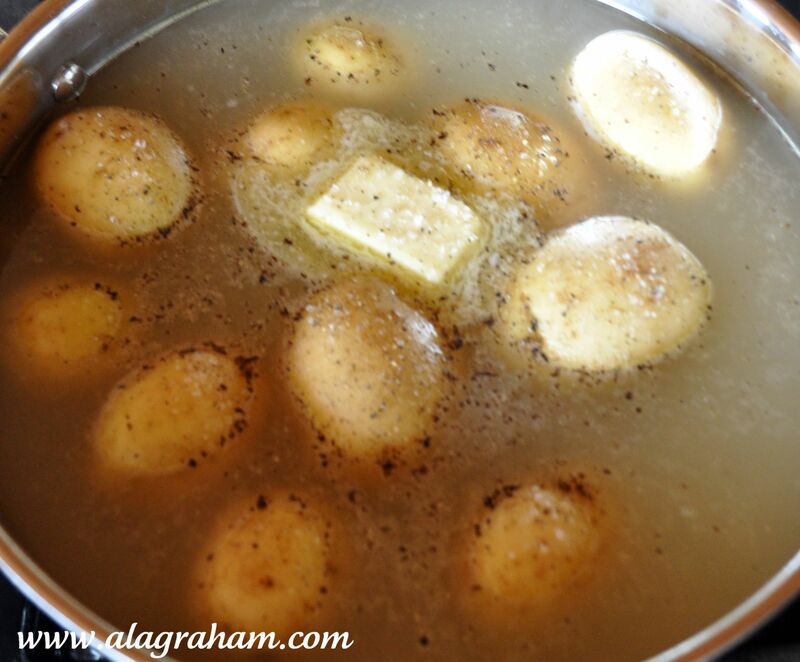 The only thing you have to be careful of is the salt...make sure the stock doesn't have salt added, if it does be careful not to over salt the potatoes when seasoning. Yum! 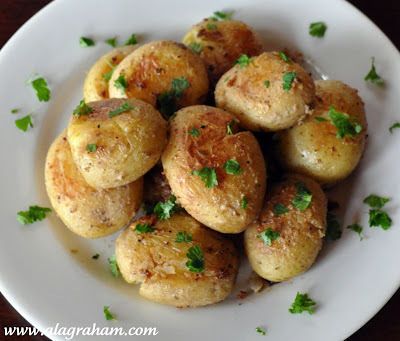 They look delicious, love smashed potatoes! Easy and a perfect side dish that I could make a meal out of. Was it difficult to clean the pan afterwards? Pam, lol..."perfect side dish that I could make a meal out of!" I think that is my moto! Jennufurla, you have to try it...they are great! Brownieville, The pan wasn't difficult to clean at all. I just soaked it for an hour or so and everything came right off. I am sure it would work with a nonstick pan too. Those little babies look amazing!! I never thought about cooking the baby potatoes in stock before. Definitely need to try this method. Thanks for sharing. Wow, these look right up my alley. 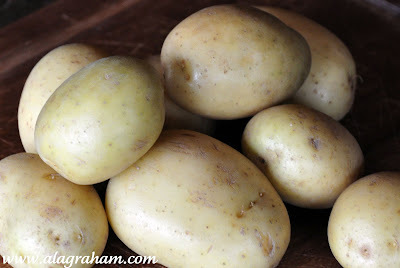 I love yukon gold potatoes. Great pictures of the cooking process as well! I never made a spud I didn't like. Yukons are a staple in my fridge. Great job! I just happened upon your blog. I love it!!! Thank you for joining my blog. I just became a follower of yours. I am new at this and learning every day. 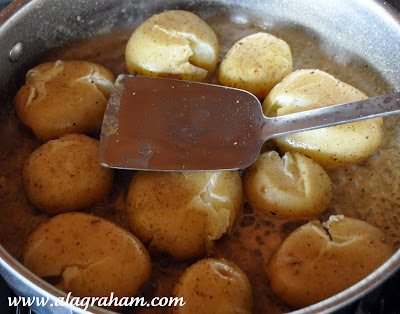 It' s funny about your potatoes...we have a recipe that is basically like yours, but after smashing them we throw it a pot and fry. Your version is healthier. Looking forward to reading your posts also. Hi! im glad you found me thru Follow-friday.Following you back now. 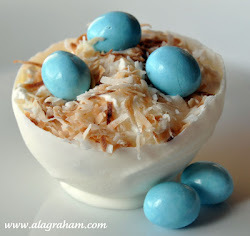 Glad to meet new foodies in the blogosphere. I nevr get tired of eating potatoes! Love your recipes!! Love the watermelon margarita too... looks refreshing with a little kick! These look fantastic! Glad you found my blog. I looked at a few of your recipes and they look great, I am following, thanks!! 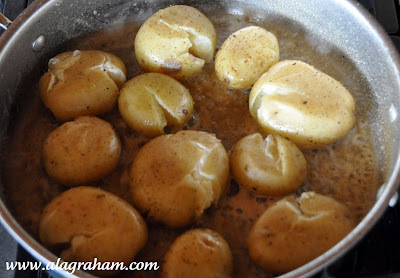 I made these potatoes last night (unsuccessfully) and this morning I found your blog and this post! Reading through your instructions, I think my problem was I smashed them too vigorously and they broke apart. I fried anyway and they were delicious, just not pretty. Sprinkle salt. Norma, try it this way and let me know how they compare. This way you still get a crispy skin but a little less fat. FOODalogue, I hate it when that happens, I am glad they still tasted good! A more appropriate name may be "cracked" potatoes or "lightly smashed"
I would eat those with some grilled fish.